Craps Top Rail Rubber Casino Grade (Sold per Foot) goes above the pyramid rubber and is used as a lining along the inside top end of the craps table. 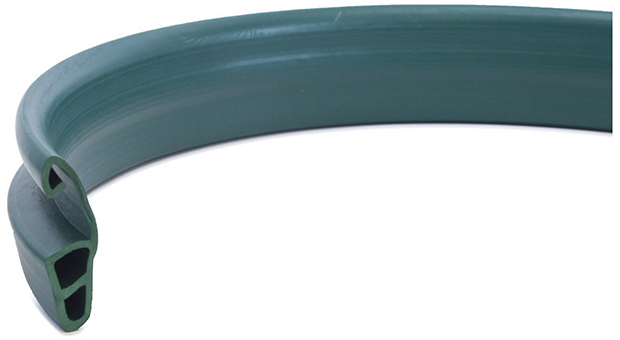 Our casino grade green top rail rubber is 3-3/8 inches tall measuring from the flat back side. A full size 12 foot craps table needs approximately 19 feet of top rail rubber. Sold in contiguous lengths up to 50 feet long.